Fair Trade or not Fair Trade? You will no doubt have heard of, and probably experienced compassion fatigue. You know the symptoms – arranging a day’s holiday for the date of Children in Need or Comic Relief; busily texting as you walk past the Big Issue seller; never having any change in your pocket; writing off sponsored abseils and runs as publicity stunts…..and then a tsunami causes devastation in Asia, an earthquake creates tragedy in Haiti and our compassion is reawakened. We respond, we give, we care. At the moment, I think I am guilty of fair trade fatigue. I used to be passionate about fair trade. I would only drink fair trade tea and fair trade coffee. I would buy every fair trade product the supermarket had on offer. I could explain the benefits of fair trade to anyone who would listen. But then the fair trade waters became muddied by promises and pledges such as “responsibly produced” and “ethically sourced” and it was easy to become complacent. 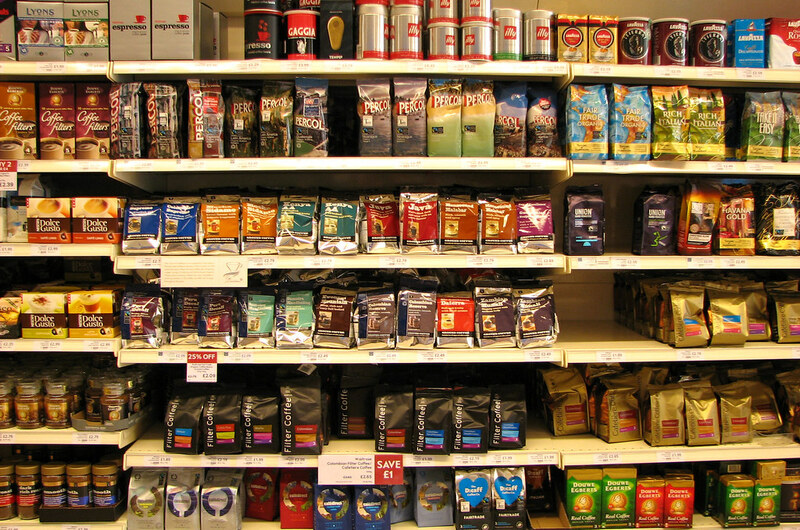 Cadbury’s launched their own fair trade Dairy Milk, Starbucks switched to fair trade coffee and it was easy to believe that what I was doing was not necessary any more. From there, it doesn’t take long to slip into thinking that fair trade products are more expensive, less easily available and not necessarily the family’s first choice. Now that the battle is seemingly nearly won, maybe I can give up the fight. But then I was reminded that Fair Trade Fortnight (22nd February-7th March) is nearly upon us again. It brought me up short. It reminded me of all the producers across the world who have benefited and continue to benefit from working under fair trade conditions. For them, this is not an ethical concept that can be picked up and dropped on a whim. This is reality. The reality of hospitals, schools, safe housing, health centres, clean water, community projects. This is commitment. Commitment from the producers to work hard and produce the best. Commitment from the consumers, too, to keep supporting fair trade. Does any of this strike a chord with you? Is it time for you, too, to challenge your fair trade fatigue? What better time than Fair Trade Fortnight to join me in giving yourself a wake up call? We’ve put together a Fair Trade Breakfast Gift Hamper especially for Fair Trade Fortnight to encourage you to reawaken your passion for fair trade. Including GeoMuesli, Marmalade, Tea, Coffee and Cereal Bars (for the days when you’re in a hurry! 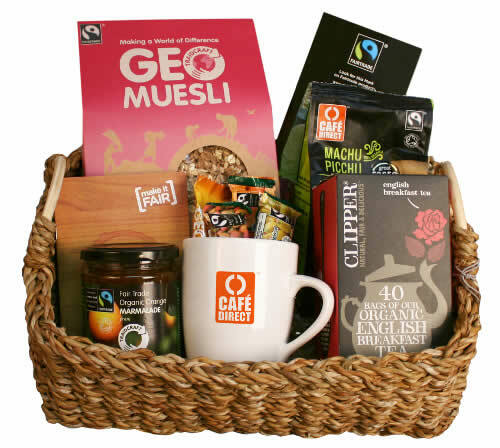 ), this hamper comes complete with a Cafedirect Mug for you to enjoy your fair trade hot drinks in the knowledge that you’re supporting the fair trade producers, the fair trade pioneers, and Fair Trade Fortnight too. Go on – Make the Swap! Take A Walk On The Ethical Side . . .